through the ground level openings. 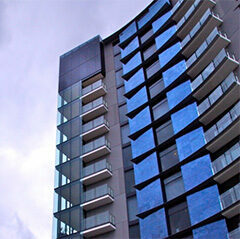 and installation phases of this project for the Queensland Government. this industrial office a 5 star rating due to the passive ventilation system. 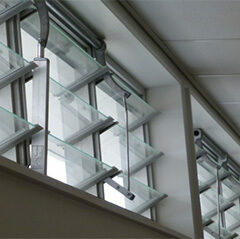 windows in common areas to create a smoke ventilation system. 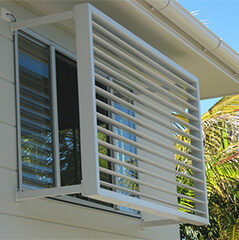 air can be seen as desirable over a standard air conditioning system. WE ARE EXPERTS IN ELECTRIC WINDOW CONTROLS FOR COMMERCIAL AND RESIDENTIAL, PASSIVE VENTILATION, SMOKE VENTILATION AND CO2 CONTROL. At Unique Window Services we pride ourselves on being providers of expert advice, reputable service, superior products and the highest level of quality workmanship. We supply, install and service a full range of eco-friendly and energy efficient window control systems to promote passive airflow which will naturally cool your school, office or home. Our client portfolio showcases residential homes, schools, commercial offices, high rises, shopping centres and warehouses. 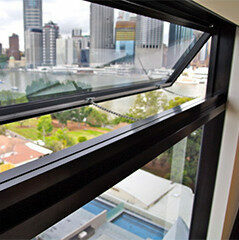 Unique Window Services has been involved with some of Brisbane most recent landmark projects in which Smoke Ventilation has been a necessity. At UWS we’re passionate about making both domestic and commercial buildings as safe as possible, and we pride ourselves in fitting the best smoke ventilation systems around. Our range of window control equipment is suited to all types of awning and louvre sections from Australia’s fabricators and there is no job too big or small. The use of electric window control equipment in High Rise Multi-Residential buildings to provide Smoke Ventilation or into your multi million dollar Residential dwelling is becoming paramount. Suitable for both commercial and domestic applications manual openers are traditionally used in schools but can be used in buildings for a cost effective solution where wiring is not always an option. WE HAVE BEEN A PASSIVE VENTILATION CONTROL SPECIALIST FOR OVER 50 YEARS. Passive cooling has a wonderful effect in the home, as when the upper level windows are opened, fresh, cooler air will be circulated at the living level and provide the occupants of the home with a much better thermal comfort. We offer full installation service and, with extensive experience and first hand product knowledge can undertake every project requirement from a single remote window opener to large government school projects. SE Controls is a UK based company specialising in window control equipment, both installation as well as in-house manufacture of motors and sensors. This provides a fantastic quality product that is up to european quality standards plus more. We supply, install and service a full range of eco-friendly and energy efficient window control systems to promote passive airflow which will naturally cool your school, office or home. We pride ourselves on being providers of expert advice, reputable service, superior products and the highest level of quality workmanship. Sign up now to view our latest projects, products and deals at Unique Window Services.